Juliet Stephenson and Stephen Fry tell the story of America and Europe’s love of Russian literature and discuss a new generation of Russian writers. 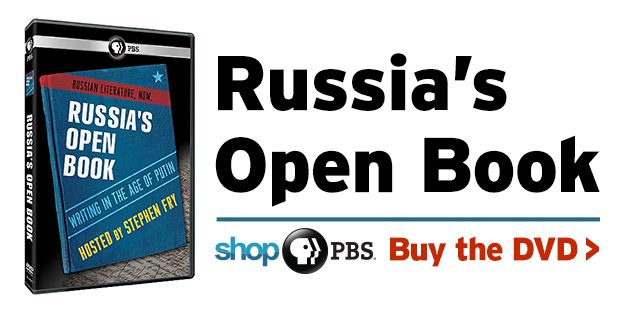 Russia’s Open Book: Writing in the Age of Putin tells the story of America and Europe’s love of Russian literature and introduces audiences to a new generation of Russian writers, narrated by Juliet Stephenson with excerpt readings by Stephen Fry. Featured writers include: Dmitry Bykov, Mariam Petrosyan, Zakhar Prilepin, Anna Starobinets, Vladimir Sorokin and Lyudmila Ulitskaya. Dmitry Bykov | His biography of Boris Pasternak won Russia’s 2006 National Bestseller and Big Book awards; he won the National Bestseller again in 2011 for Ostromov, or The Sorcerer’s Apprentice. Zakhar Prilepin | Referred to by Newsweek as “Russia’s Young Hemingway,” Prilepin is a veteran of the war in Chechenya, on which his 2005 novel, Pathologies, is based. 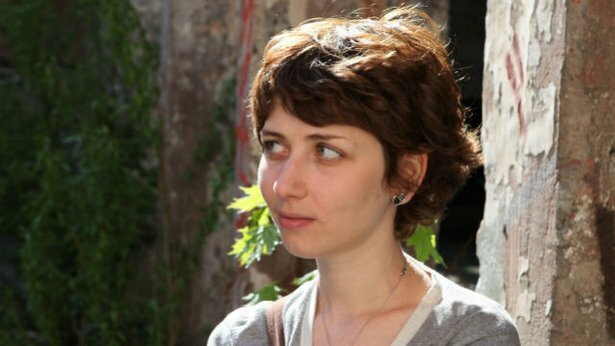 Mariam Petrosyan | Born in Armenia when it was part of the Soviet Union, Mariam Petrosyan started writing her only novel, The House, In Which… as a teenager. Vladimir Sorokin | Described as “the Tarantino of Russian literature,” Sorokin’s books were banned during the Soviet era. One of Russia’s best-known contemporary writers, Sorokin received the People’s Booker Prize in 2001 for Sbornik Rasskazov (Collected Stories). Anna Starobinets | Starobinets’s short stories and novels defy the traditional horror genre by crossing over into fantasy, mysticism, and futuristic dystopia. Her short story collection, An Awkward Age, was a finalist for the Russian National Bestseller Prize in 2006 and has been translated into seven languages. Ludmila Ulitskaya | Ludmila Ulitskaya is one of Russia’s most popular and celebrated writers. Her first novella, Sonechka, was published in the literary journal Novyi mir in 1992 and nominated for the 1993 Russian Booker Prize. Photo credit: Igor Ishankov. Wilton Films and Intelligent Television.